German artist who produced litho postcard series of Egypt. Example below. 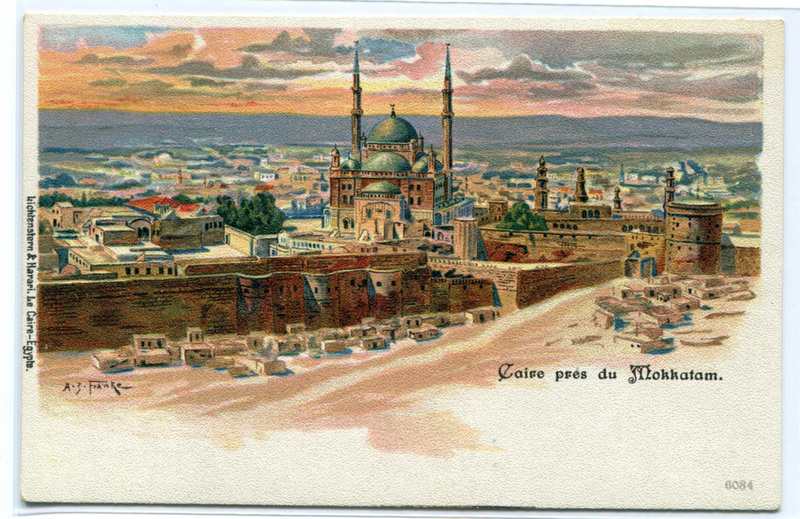 Caire pres du Mokkatam - Cairo Panorama from Mokkatam Egypt artist signed A Z Franke litho postcard. Circa 1903, undivided back. Lichtenstern & Harari, Le Caire, Egypte, publisher.